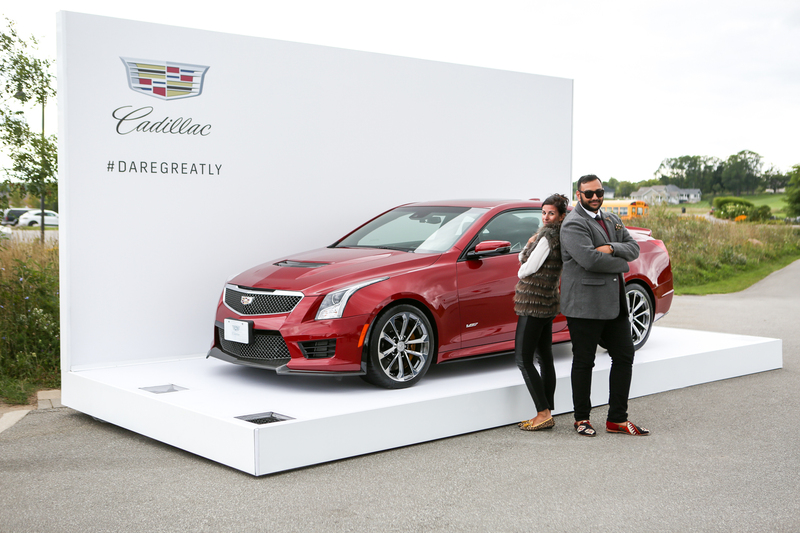 Last Sunday I went on a trip to Cobble Beach Concourse with Cadillac Canada and a few other fashion influencers to celebrate Cadillac’s Dare Greatly campaign and the launch of the new Cadillac ATS Vs! The Dare Greatly campaign is to celebrate the resurgence of Cadillac as an automaker. 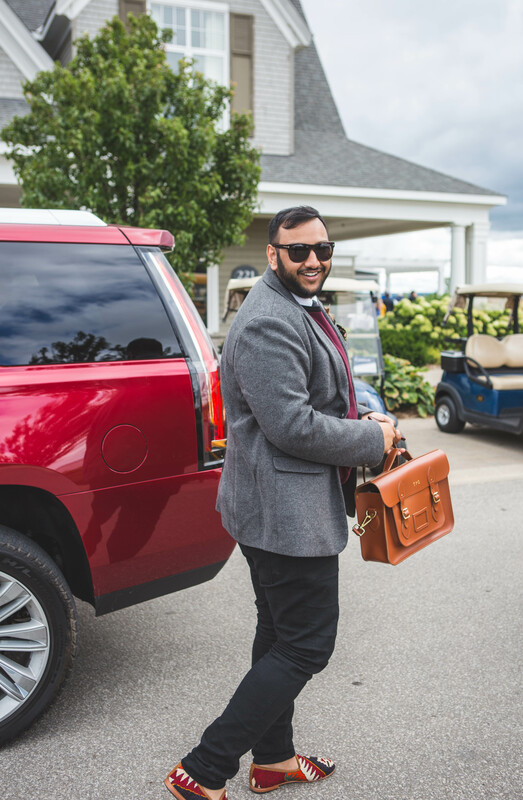 For more information on Cadillac’s Dare Greatly campaign visit: dare-greatly.ca. I took a train to Union station early in the morning, where I met up with Masha from Cadillac and drove down to Billy Bishop Airport. 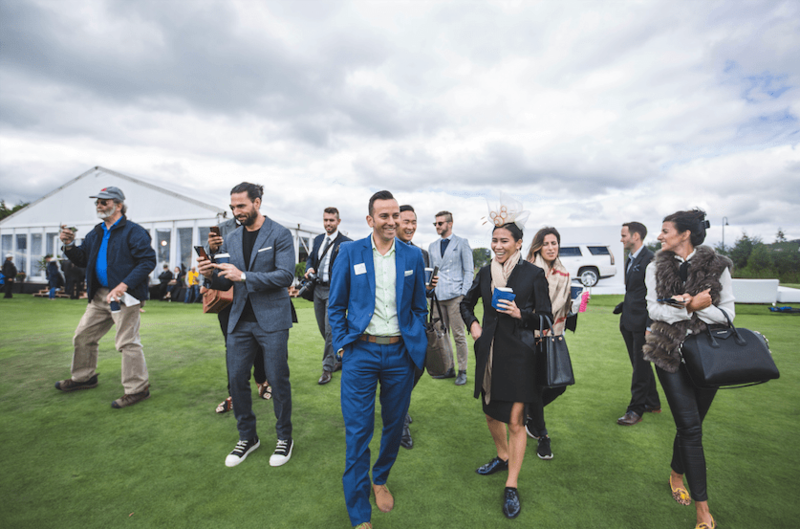 There we met with influencers Sergio Senatore of Kleen Media, Lance Chung of Mr. Lance Chung, Karen Michelle of Coco and Cowe, Jonathan Cavaliere and Marc Esteves of Mr. Cavaliere, and Designer Amanda Lew Kee and caught a propellor plane. For those who didn’t get a chance to take a look at my live tweets, or instagram feed, the day was packed full of fun things to do. The flight took roughly 50 minutes to get to Cobble Beach, for the Cobble Beach Concourse which was one my highlights of the trip because, we literally got to go over downtown Toronto! We were greeted by my fave car of all time, the Cadillac Escalade, which was our ride to the resort from the airport. 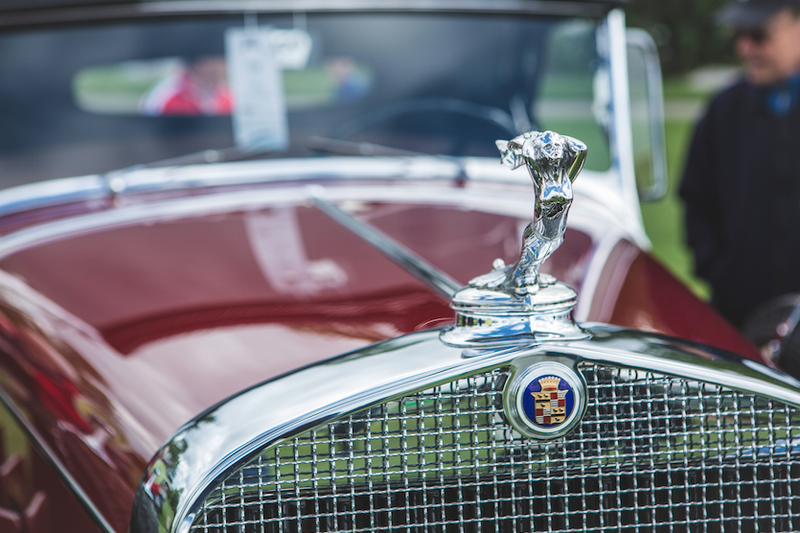 I had a rough idea that The Cobble Beach Concours d’Elegance was going to have nice cars, but I didn’t think that it would be to the caliber of vintage Bugatti’s and Cadillac’s from their museum. We walked over to the Cadillac Cube, where we had refreshments and also saw the beautiful Cadillac Ciel Concept Car. Next we took a VIP tour of the concourse before having a little lunch. 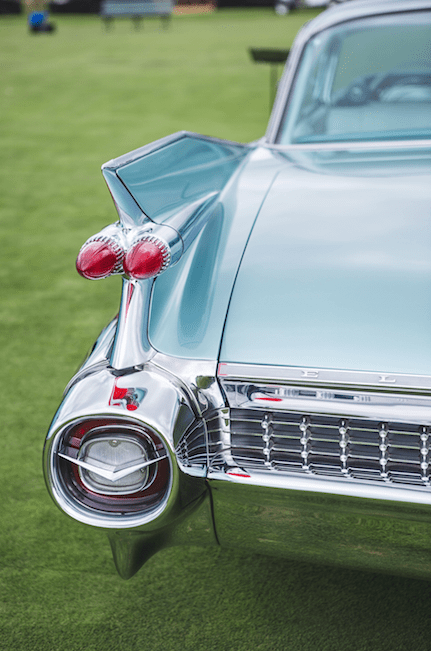 I was able to see the heritage of the Cadillac brand and the progression of their designs and innovations over different time periods. 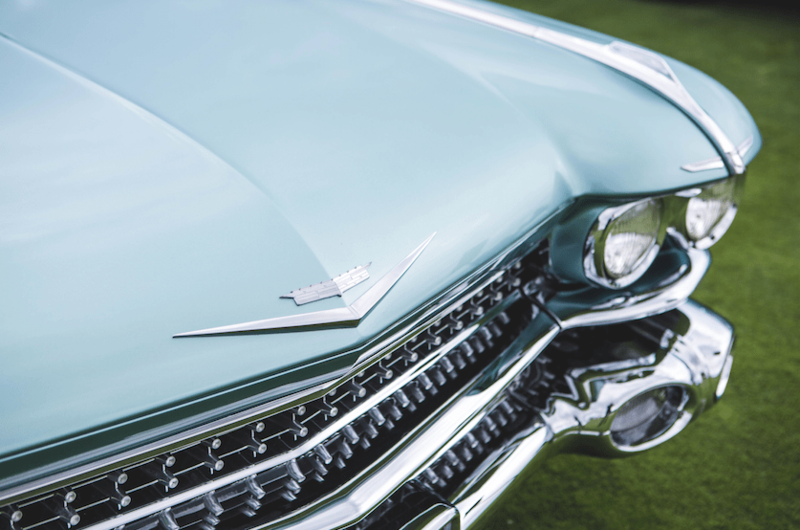 Through this we learned that Cadillac’s Dare Greatly campaign was also about the next chapter of Cadillac in expanding their product portfolio. Shortly after, we had a lunch, which was catered by Colette Grand Cafe, followed by watching the Cobble Beach Concourse parade. We took a break to wonder off, and at that point I really needed to charge my phone, so I went back into the beautiful resort building. The next part of the day was my favourite! 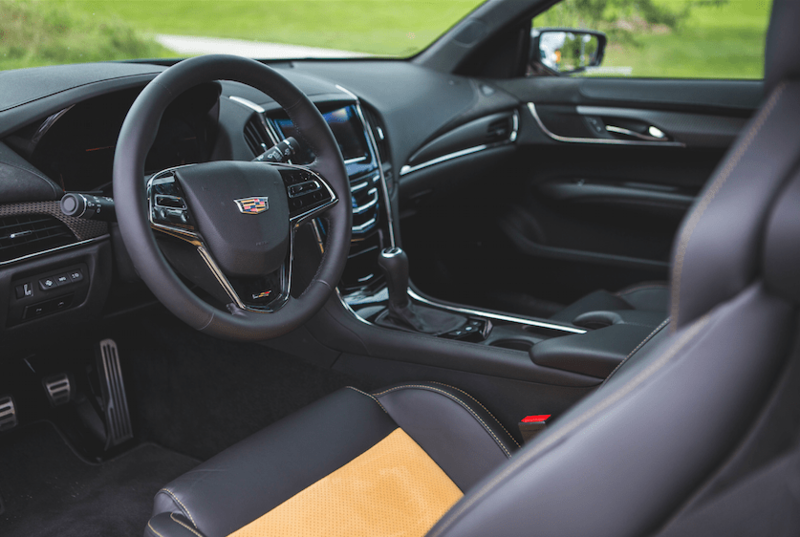 We gathered again as a group and were taken to a line-up of the beautiful Cadillac ATS Vs. We split up into two’s so that we could also test drive the vehicle around the Township of Kemble. Luckily for myself, I was partnered up with Don who was from Cadillac himself, so I was able to test out the car for the whole ride. The car was EPIC! I didn’t even know this, but Cadillac vehicles come with WIFI. I started off in the tour mode, so that I could get used to driving the car, especially considering the fact that I’m the worst driver I know of. But half way through I switched the car into performance mode, and it was odd to see such a sleek and luxurious car drive like a sports car. It was so smooth and might have actually replaced Escalade as my fave car. This looks like such a fun trip! Lucky you Prep Guy!